I’m writing this post as I head home from a very long, very full week. On Monday through Wednesday, I was a part of KitchenAid’s very first retreat in Chicago. On Thursday through Sunday, I attended (my very first) BlogHer Food. Between there, a ridiculously quick trip home to my parents in the Chi-town suburbs where they were taking care of my little girl for the week. I got a few kisses and hugs from her (actually, I lied about the kisses — she actively refused to give out any of those, being the lovably sassy toddler she is) just before I had to head back into the city. It wasn’t enough, though, and while I am incredibly grateful and thankful to have had the opportunity to visit the city, learn, meet the wonderful people I work with and hang out with my very best blogging friends, I’m also very ready to be home. I need to refresh, recharge, rest in my own bed. I need to be a hermit for a bit. I need to hug my cat. You understand. 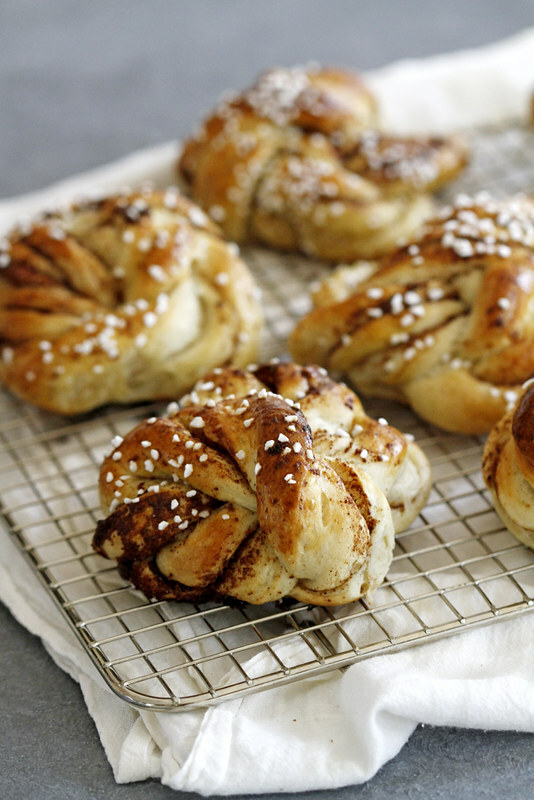 I also need to get more of these delightful Swedish cardamom buns in my belly, as I stored a few away in my freezer for when I’d return. I knew it would be like a little homecoming party just for me, to heat them up and pull them apart into soft, sweet, pillowy, spice-filled, bite-sized pieces just before they head into my mouth. I don’t even know how I can think about food, honestly, after the gargantuan amount of delicious goodness I devoured in Chicago all week long. And yet, I will always crave breads like these. I’ve been meaning to cross off my baking bucket list my own variation of Swedish cardamom buns or bread, and while you may not have known just how long it’s taken me to make these, I do, and with that knowledge I apologize. Because once you give these a try yourself, you’ll wonder, as I did, just why you haven’t had them sooner. 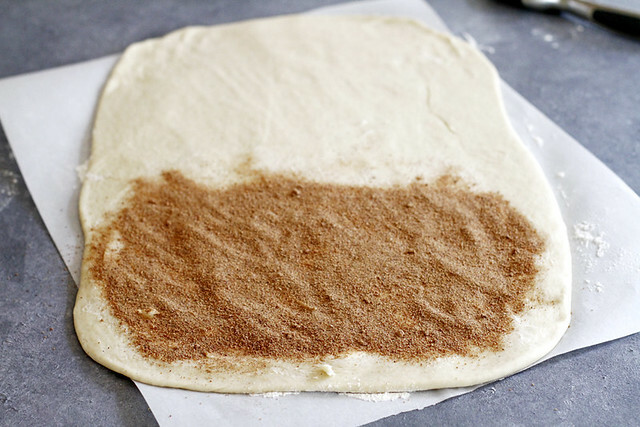 The cardamom-flecked dough is soft and pillowy, the same texture as a cinnamon roll, and the buttery, cinnamon-date sugar filling (yes! Date sugar! I’ll get to more about that in a sec) is weaved into every crevice of each bun. It is then all topped off with a sprinkle of pearl sugar and baked to a golden brown perfection just begging to be served with hot coffee for your afternoon fika (that’s a set afternoon snack time in Sweden, btw. Another reason why I love the Swedes). But more about that date sugar, right? Bob’s Red Mill makes its own and ladies and gentlefolk, all I can say is WHOA. It’s made from dehydrated dates and oat flour and it yields just the most perfect amount of sweetness to your foods. If you haven’t had the pleasure of trying it, now is your time. It tastes great sprinkled into these buns, obviously, but I imagine it’s also wonderful in just about any other pastry, or in pancakes, waffles, etc. It’s a sweetener I can certainly get behind in just about any capacity. 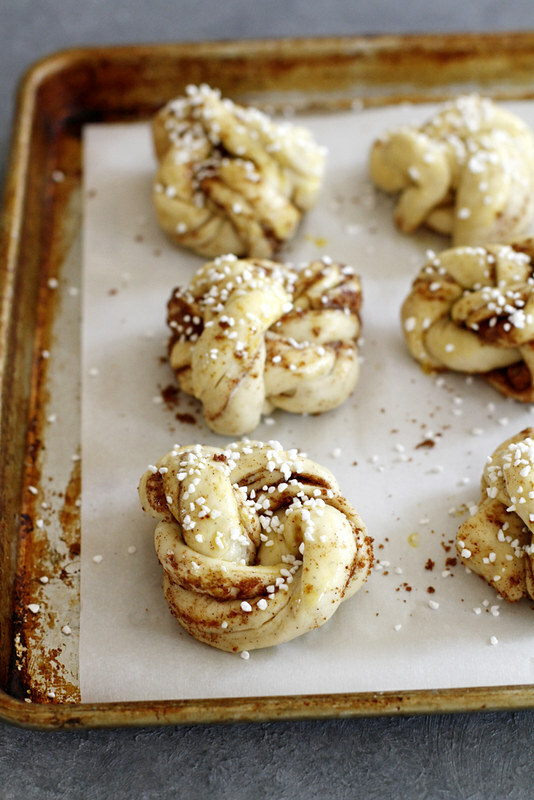 But my favorite way so far, of course, is in these cardamom buns. And I already can’t wait to have them again for breakfast — at my own kitchen table. P.S. Head over to Bob’s Red Mill for more recipes and products, or check out their Facebook, Twitter, Instagram or Pinterest pages for inspiration. In small saucepan over medium heat, melt butter. Stir in milk. Check temperature of milk-butter mixture — when it reaches 110 to 120 degrees F, remove from heat (or, if it’s too hot, remove from heat and let cool until it reaches the correct temperature). Pour in large bowl or bowl of stand mixer. Stir in yeast. Let sit 10 minutes. Meanwhile, in separate large bowl, whisk flour, sugar, cardamom and salt. Add flour mixture to yeast mixture. Stir until just combined. Knead by hand on lightly floured surface 10 to 15 minutes until dough is smooth, soft and elastic; OR, knead with dough hook in stand mixer on medium speed 5 minutes until dough is smooth, soft and elastic. Shape dough into ball. Place in clean bowl. Cover bowl with towel and let dough rise in warm place 1 hour until doubled. Meanwhile, prepare filling: In small bowl, stir date sugar and cinnamon until well combined. Punch down risen dough. 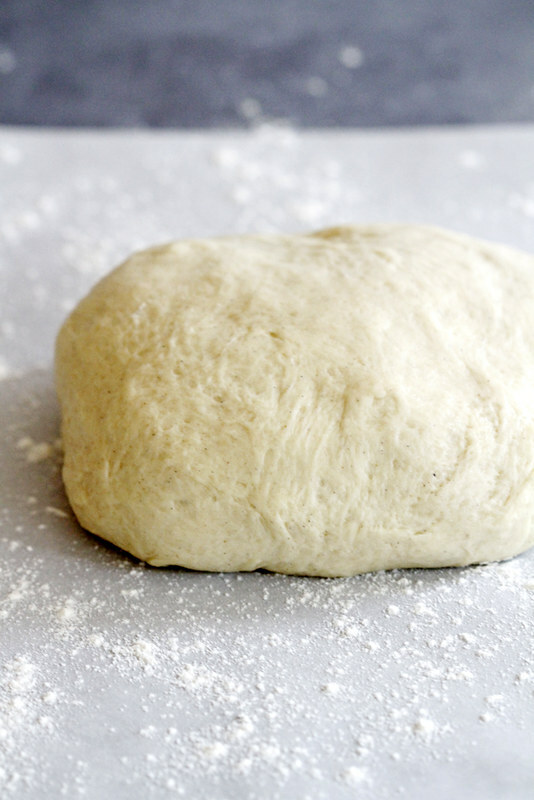 On lightly floured surface, roll out dough to 12-by-18-inch rectangle, short end toward you. Spread softened butter on bottom third of dough (closest to you). Sprinkle with date sugar-cinnamon mixture. Fold top third of dough down and bottom third of dough up, like a letter. Use sharp knife or pizza cutter to cut dough into 12 6-by-1-inch strips. Use knife or pizza cutter to cut each strip three-quarters of the way up lengthwise. Twist both ends, then tie in knot. Tuck ends under. Repeat with remaining buns, then place buns 2 inches apart on parchment paper-lined baking sheet. Cover with towel and let rise 30 minutes. Heat oven to 400 degrees F. Uncover buns and brush tops with beaten egg. Sprinkle with pearl sugar, if desired. Bake 20 to 25 minutes until buns are golden brown and baked through. You can’t beat being at home in your own space. I can only imagine how awesome it would be to come home and spend the weekend with these buns! So delicious. Sounds like a busy week for you. I’m sure it must be wonderful to come home. As much as I love traveling, I love coming back to my bed and my routine even more. These buns hun (<– couldn't help myself) are just fabulous. I love braided breads like this – they just look so special! Yum! Those look delicious! I love the little knots! These look heavenly! I wish I had one for breakfast. I’m so intrigued by this date sugar thing! I’ve never heard of it before, but it sounds wonderful! Sounds like you had an amazing week. Cardamom is hands down my favorite spice, and with date sugar?! This is SO ME! Oooh, I’ve never had cardamom in a roll like this before, it sounds amazing! I love date sugar (and dates in general). I dunno if I’d be able to pull off one of these pretty knot shapes, though! It was so so awesome hanging with you hon. And like I said you are the queen of buns, and these look absolutely sensational! These are so stunningly beautiful! I love the use of cardamom in baking. Yum! oooh that KitchenAid retreat sounds so fun! And these buns look so sophisticated and flavorful and perfect! I would need to be a hermit too after a packed schedule like that! Enjoy your cuddle time with your sweet cat. 😉 OMG I need these buns and that date sugar in my life. Pinning! Oh yum. These look absolutely gorgeous, but the taste sounds even better. 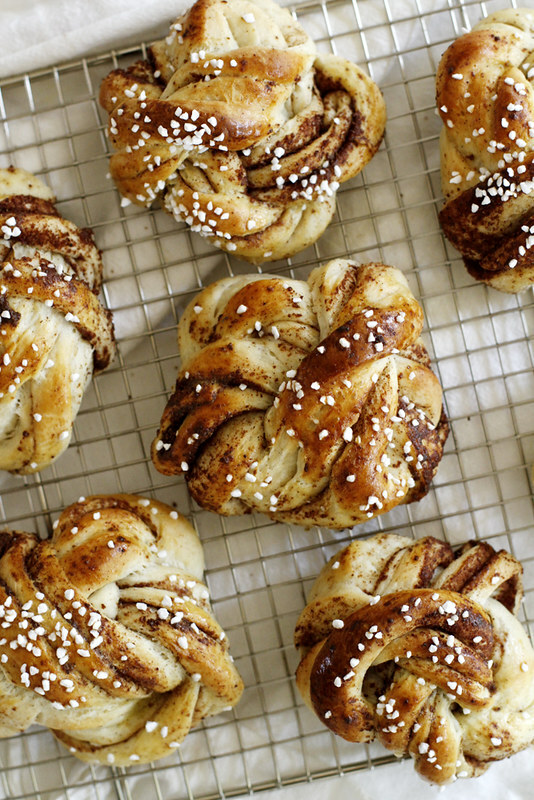 I want to practice fika, and I want these buns at my fika (I am assuming I’m using fika in the correct sense here, that it’s a noun not a verb). What a crazy week! I’m sure you’re so glad to be home… And even better to come home to these beauties. Wow. Cat cuddles and hermiting are things that I need to do anytime I leave the house for an extended period of time. And by extended period of time I mean like more than a few hours. I feel you. 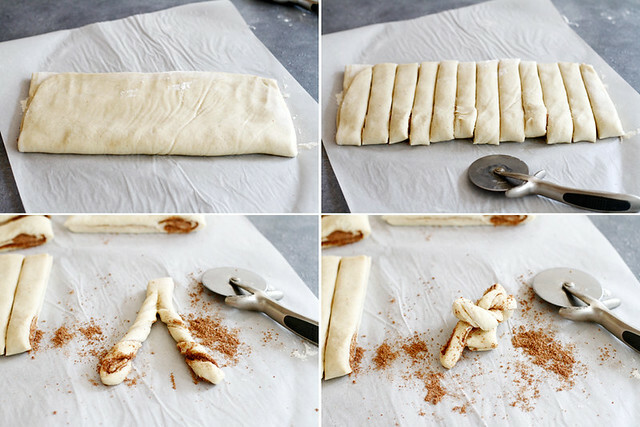 And also, I don’t know how you read my mind but this is EXACTLY what I want to bake right now, except I didn’t know what it was. Pinning it and baking it as soon as I can get my hands on some of that date sugar. Such perfect little knots! Seriously in love here (and date sugar?? OMG). 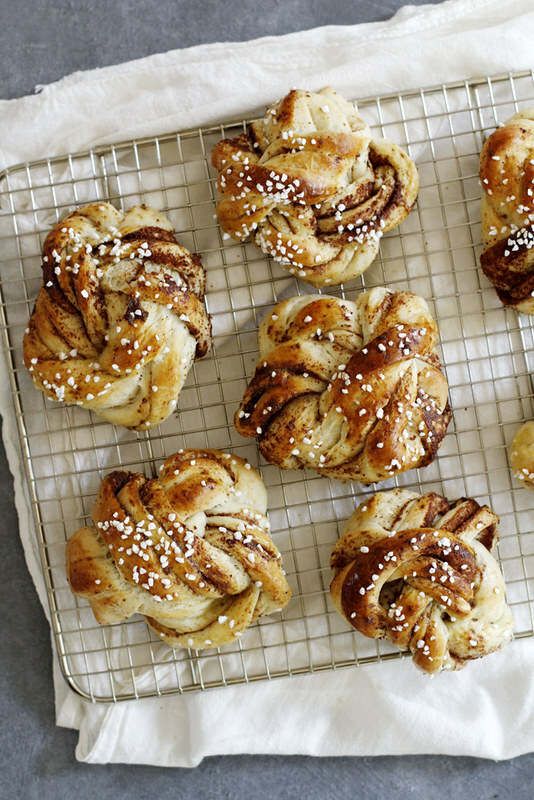 Swedish buns are quickly heading towards the top of my list ‘to-bake’!. And I do understand the hermit thing – just finishing up a huge semester at university, and can’t wait to be back at home, in my own bed. I bet the kitty gave you kisses! 😉 These buns are perfection! I used date sugar in an apple crisp topping the other day. I’m still unsure how I feel about it, but I’m willing to try again for these buns! These are simply amazing! And easier than they look. I skipped the date sugar and used brown sugar. Then I finely shopped 4 dates, rolled them in sugar and put them between the butter and sugar layer. Anyone I give these to should know I either love them more than words or have a gigantic favor to ask. Just waiting for the second rising. 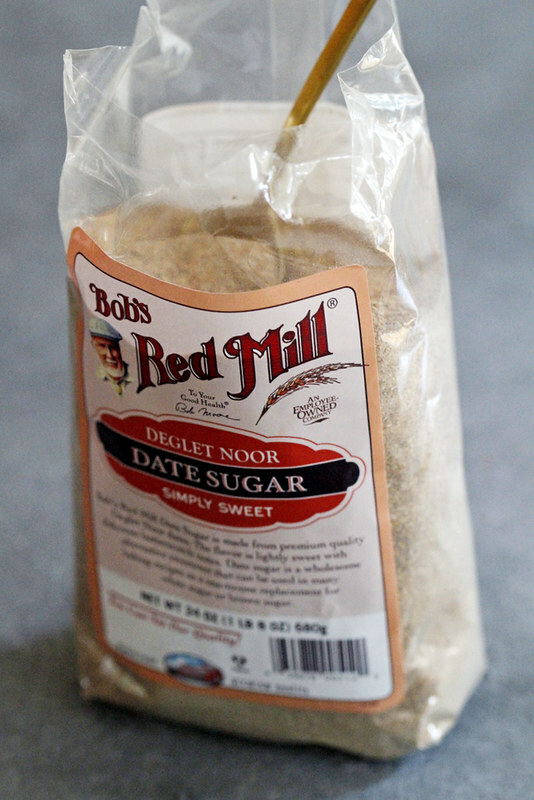 I’ve ordered two stores in my area to stock your red mill date sugar. Buns look absolutely yummy. Many thanks for sharing this recipe. Question: when do you freeze the bun? After baking or before baking? Does the dough freeze well? Teresira — I hope the stores fulfill your request! I froze mine after baking, in an airtight container, and that worked well! Just let them come to room temperature again and warm them in the oven before eating. 🙂 Enjoy! This recipe is fantastic! Enjoyable to make, and the final product comes out perfectly. The instructions are fantastic- first time making knots and they look very much like your photos. I just made these and they’re delicious. I would recommend doubling the filling (butter, cinnamon, sugar) and the cardamom in the dough. I felt they were a bit bland and dry. Great recipe though! Hoping to give these a good this weekend! Two questions: could you sub regular sugar in the filling for the same amount? Also, how would you store them? Thanks! Christina, great questions! Yes, regular sugar will work fine in place of the date sugar here. Also, I store them in an airtight container at room temperature overnight. Enjoy! Would it work to prep these the night before, refrigerate, and bake the next morning? If so, how long to recommend they sit out and rise the next morning? Jason, I’ve never done that with this particular dough, but it’s possible it would work! If you do so, let them return fully to room temperature (about 30-60 minutes) before baking.